Caroline at Caroline Makes... kicked off this month's challenge with some delightful looking Limoncello Macarons. There is no need to worry about the reputedly complex nature of macaron making as you have guidance every step of the way with her step-by-step photos. Until I received this entry from Lucia at Tortadirose, I thought that Caprese was just the famous mozzarella, basil and tomato salad (my favourite salad because I don't like many leaves). It turns out that it is also a fantastic type of cake, as shown here with Lucia's Torta Caprese With White Chocolate. 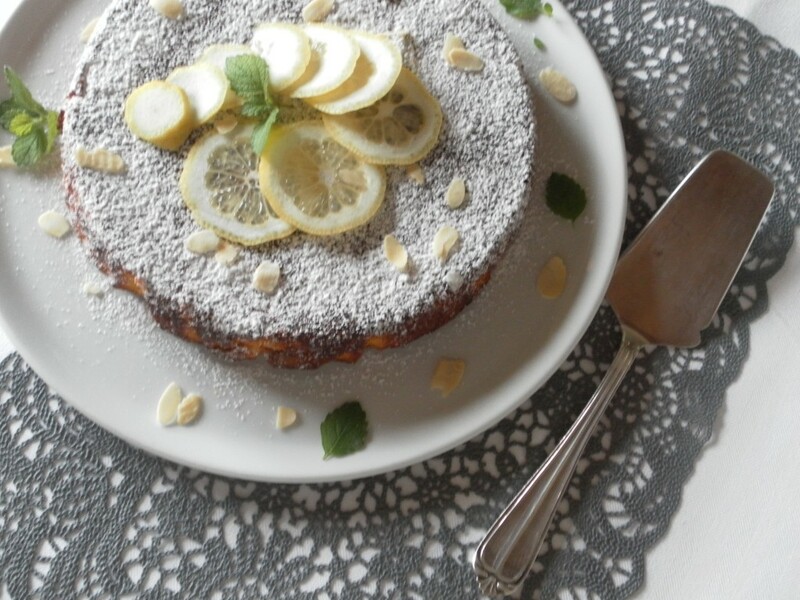 It was made with limoncello, and I have to say it looks fantastic. I made these Ginger & Limoncello bites for my mum's birthday. The two flavours compliment each other nicely, and the biscuits are incredibly moreish. 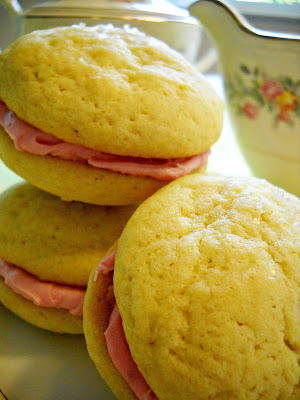 The lovely Ellen from Bake It With Booze made these Limoncello Raspberry Cream Sandwich Cookies. I know how well raspberries and lemon go well together, so I expect these must taste great - especially since both counterparts are made with spirits! Craig from The Usual Saucepans not only made his own limoncello, but he then turned it into these Limoncello Ice Lollies, which must have been perfect for the sunny bank holiday we just enjoyed. 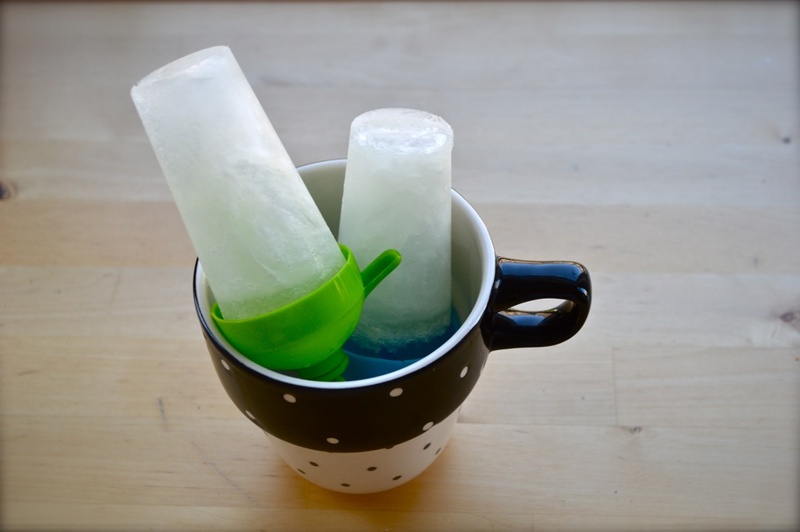 These apparently only take 30 seconds to prepare, so there really are no excuses for making some right this second. Finally, Mel at Sharky Oven Gloves snuck in this last-minute entry, consisting of Limoncello Cupcakes. 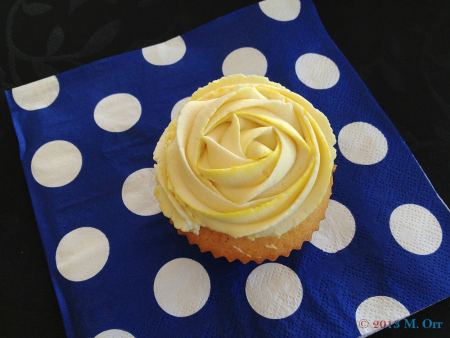 Not only are the cupcakes soaked in limoncello, but the two-tone icing also uses it. I love the two-tone icing! Thanks to everyone who entered this month. Check back on Saturday to see what next month's challenge has in store! Thanks Mel! It was definitely a winning combination. What marvelous round-up!!! Thank you for the event!